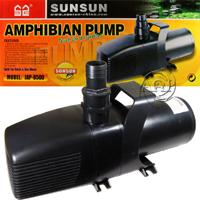 Pond and large Aquarium Pumps by AAP/SunSun among the leaders in aquatic technology. 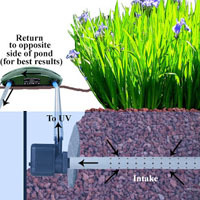 •	Our PREMIER/BEST Pond or aquarium system pump! 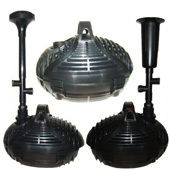 •	Maximum head pressure 20 ft.
•	Suitable for a variety of pipe diameter connection. •	Unique VERY efficient design; uses variable frequency technology for low power consumption yet large flow rate & high head pressure! 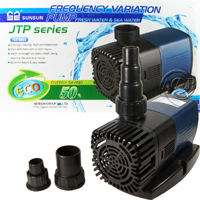 •	Thermally protected; Automatically shuts down if the pump runs dry for more than 5 minutes!! 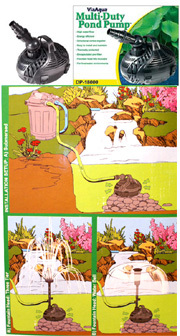 •	Highest head pressure of ANY comparable mag-drive water pump available at any price! •	Double Screen Guard to protect pump. Most pumps including the Jebao & Atlantic only have an inner guard! •	Maximum head pressure 23 ft.
•	Maximum head pressure 24 ft.
•	Maximum head pressure 24.6 ft. 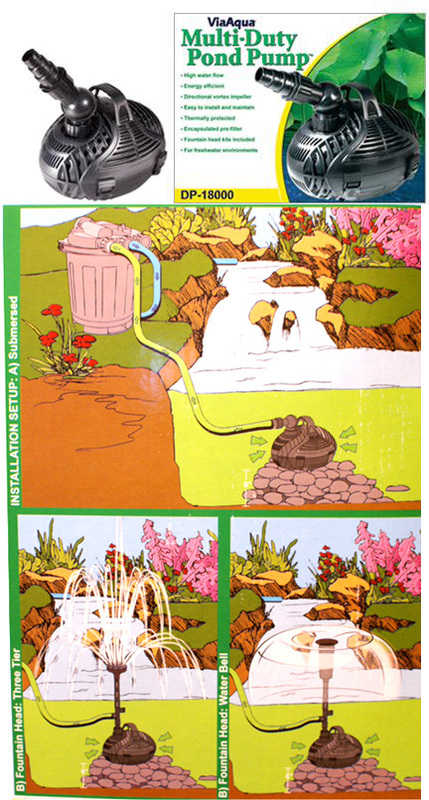 The picture below demonstrates the JAP-8500, 13000 or 18000 Pump with the outside cover off. 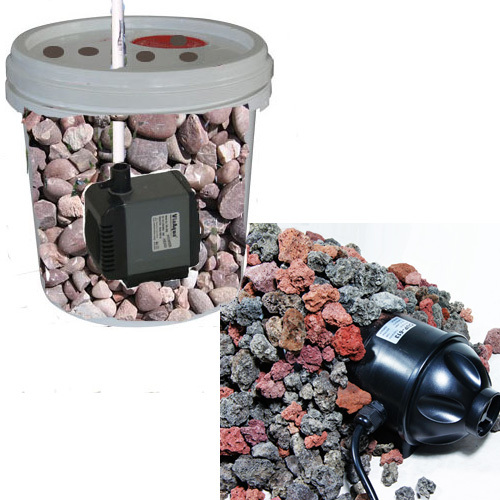 As with ANY submersible magnetic drive pump, your should always protect the pump intake with more than just the supplied screens with rock beds or similar as per our Pond Care Article. 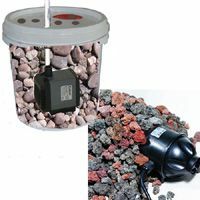 The reason being is that when one gets into a magnetic drive pump with the amount of wattage and size magnet these and other pumps use, all it takes is some debris to get into the impeller well and the power of thus type of pump will simply shred itself in an attempt to run. 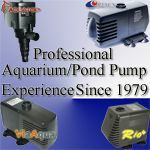 Just because a discounter such as Chewy or Amazon does not state this is not beause their pumps are better (actually they have less inner magnetic impeller protection), they simply do not have the expertise we at AAP have with decades of hands on experience. As well, these discounters sell more by not telling you the consumer this!! •	Maximum head pressure 21 ft. 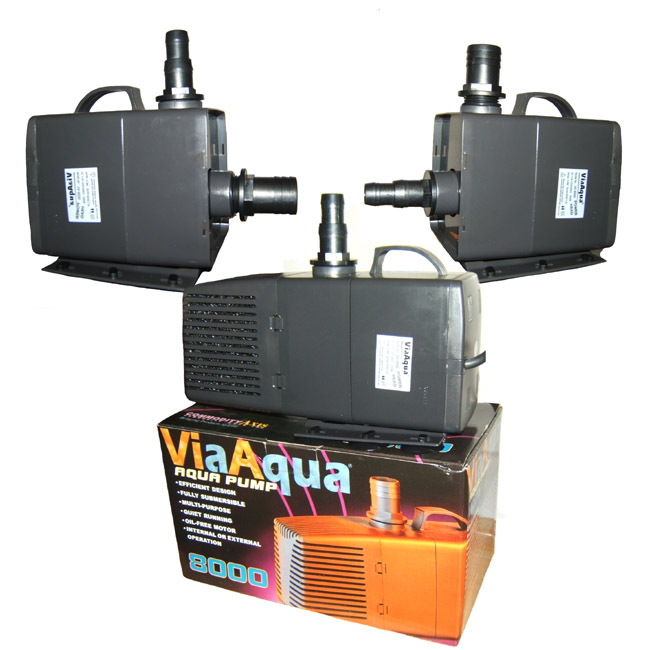 Consider the AAP JAP-8500 Amphibious Pump as a BETTER more DURABLE replacement for the VA 8000 pump!